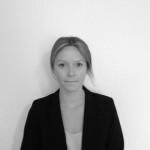 Nicki joined Chambers in 2014 having previously practised at No1 High Pavement Chambers in Nottingham where she also undertook her pupillage. Prior to undertaking her pupillage Nicki was awarded her LL.M. Masters in Law ‘with Distinction’ from The University of Leeds. She went on to receive the Senior Academic Scholarship to undertake the Bar Course at Leeds BPP Law School where she achieved an ‘Outstanding’ qualification on completion. Nicki was awarded the Baron Dr Ver Heyden de Lancey Prize and a Certificate of Honour from the Honourable Society of the Middle Temple; both awards for attaining the highest grade in her academic year at Bar School. Nicki undertakes instructions in both Immigration and Asylum appeal matters, appearing in both the First-Tier Tribunal and the Upper Tribunal. Nicki also accepts instruction in Judicial Review proceedings relations to Immigration matters. As well as appearing in Court, Nicki also undertakes drafting work in relation to Appeals to the Upper Tribunal and Court of Appeal as well as grounds for Judicial review. Nicki recently appeared in the High Court in Judicial Review proceedings on behalf of Claimants whose applications for British Passports had been unlawfully refused by the Secretary of State. Nicki was successful in obtaining judgement against the Defendant and an order quashing the unlawful decision. Nicki accepts instructions on behalf of both Claimants and Defendants in Personal Injury Small Claim and Fast Track Trials and various Interlocutory Hearings in the County Court. Nicki is a Grade 1 Crown Prosecutor and regularly appears on behalf of both the Prosecution and Defence. Nicki receives instructions in Private Prosecutions as well as Crown Prosecution matters appearing in both the Magistrates Court and Crown Court. Nicki enjoys trampolining and spending time in the countryside walking and camping.